Shape-sensing memory foam padding upholstered over an adjustable steel frame and rubber strapping provides firm, durable customizable support. 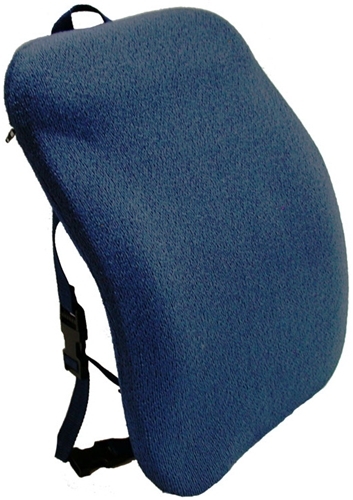 Excellent for autos, trucks, airplanes, buses, chairs and sofas. Doctor-recommended. 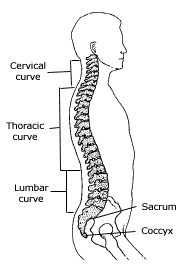 Adjustable (bendable) steel frame can be shaped to match the size and height of your natural spinal curves. Resilient latex rubber straps on a 1/8" carbon steel frame flex for even, breathable support along your lower and upper spine through the shoulder blades. A generous layer of pressure-relieving medical-grade memory foam provides luxuious comfort. Upholstered in soft, long-wearing fabric that's cool to sit on and sponges clean with soap and water. 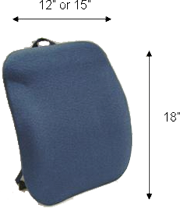 Adjustable strapping system allows secure positioning horizontally for car seats or vertically for office chairs with a gap under the backrest.